We've got a jam packed schedule for our market tomorrow! With so many different events throughout the day, there's sure to be something (or lots of somethings!) for everyone. Come and meet some of the scaly residents of Warrawong Wildlife Sanctuary! Discover the history of this fantastic Adelaide Hills native wildlife sanctuary, and its exciting future plans & Grand re-opening. Visit Warrawong interactive outside stall between 11am - 1pm and talk to Luke and their volunteers about native animals, Warrawong and the beautiful Adelaide Hills environment. Known as one of Italy’s favourite desserts, Tiramisu quite literally means, “a pick me up.” It is a delicious, layered dessert, traditionally made with a delightful combination of lady fingers (savoiardi biscuits), espresso coffee, mascarpone cheese, eggs, marsala and cacao. This cooking experience will show you how to adapt the trifle-style tiramisu to one that is simpler, quicker and just as delicious. Buon Appetito! 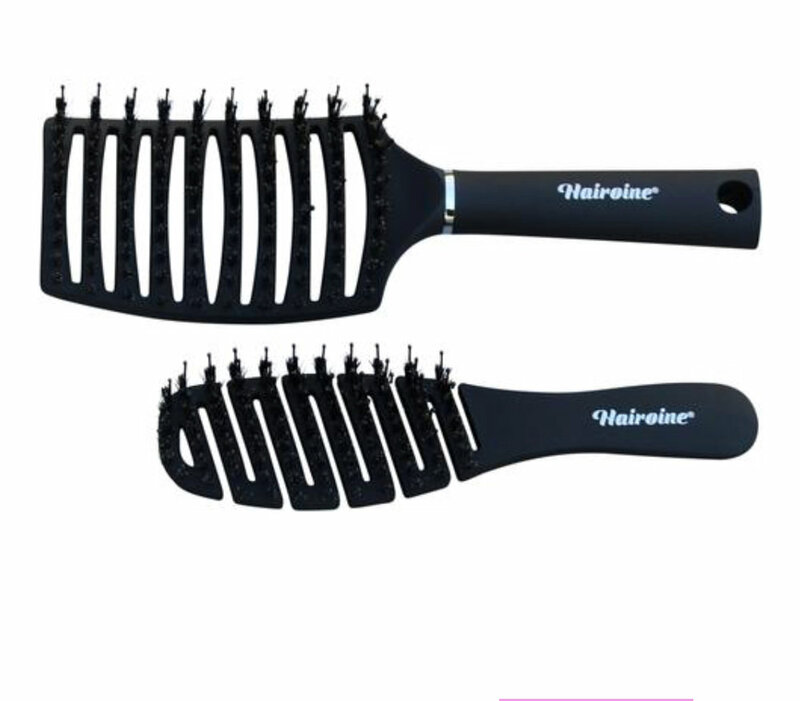 Marisa Kent founder/ inventor of Hairoine Hair brushes will be demonstrating and explaining the features and benefits of brushing with these brushes and the history of their design and the company's ethos. Also featuring Ugly Swan drying robes and hair towel, demonstrating their features and benefits. Featured On stage! Are you able to smell the difference between an orange and a lemon before you taste it? How about the difference between thyme and oregano? 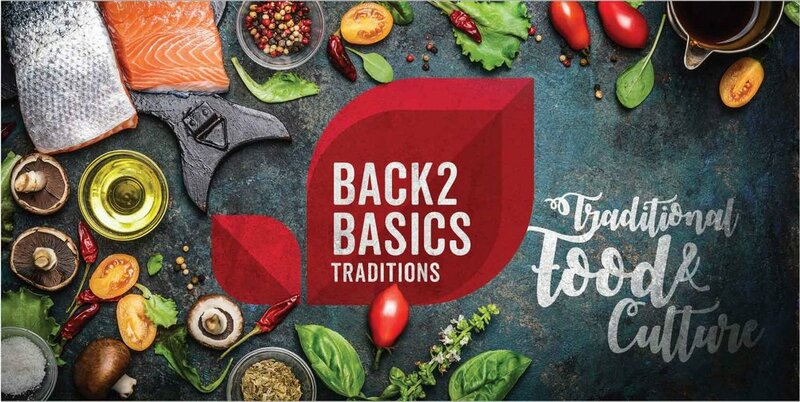 Join Back 2 Basics Traditions as they delve into all things olives with the President of the Australian Olive Association, Michael J Johnston, and invite guests on stage to be involved in a live blind infused Extra Virgin Olive Oil tasting. Tracy & Toni with be showcasing I Love Scarves gorgeous accessories of every colour, pattern and design. They will be demonstrating a range of different ways to wear & feature scarves to enhance your outfit or casual attire and inspire you! Come and watch Karyn demonstrate the ancient art of lamp working which was made famous by the glassworkers of Murano Italy in the 14th Century and is still being practised there today. 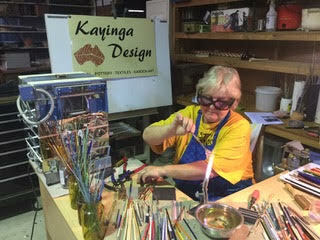 She uses rods of coloured glass and a torch to melt the glass onto a bead mandrel creating beautiful transparent and bright beads for jewellery and other crafts. This demonstration will provide you with some information and a visual display of how it is done.